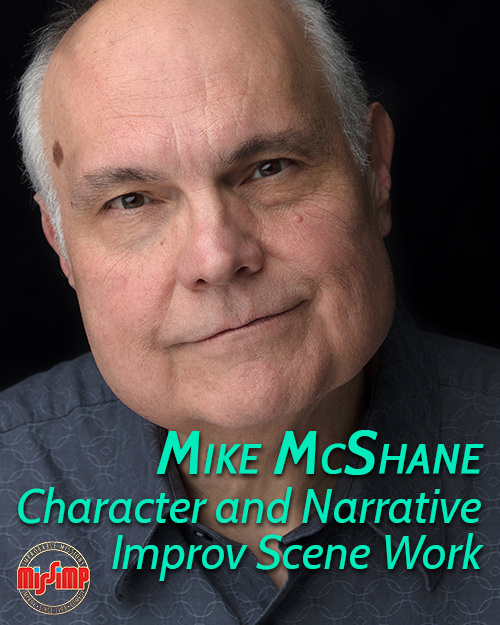 Improv Workshop w/ Mike McShane! The first minutes of a narrative improvisation are the optimum time to introduce tone and needs that are the notes for every character that comes after. We’ll work on what to listen for and what to bring in with physical as well as the verbal offers that attach and enrich the characters life, define their needs and set them on a journey. As I feel the audience is improvising with us, keeping each other stimulated in delight and sometimes horror, we’ll find the world to envelop them in. Mike McShane is an improv legend, who appeared on Whose Line Is It Anyway? in the 1990s. He performs in the UK frequently in improv shows such as Paul Merton's Impro Chums, Hyprov, Whose Line Is It Anyway? at the Albert Hall, and with the Comedy Store Players. TV credits include turns on Doctor Who, Seinfeld, Frasier and ER, and film credits include Robin Hood: Prince of Thieves, Office Space and A Bug’s Life. This course is for improvisers at an intermediate or advanced level. In order to take part on this course, you MUST have taken at least MissImp's Level One: Intro to Improv Course. If you think you have training from elsewhere that is suitable you must confirm this with us before booking. If you book onto this course without this pre-requisite, your ticket will be refunded minus a non-refundable booking fee. This workshop takes place twice - do not book onto more than one workshop, as they will be identical in content and we want as many people to get this chance as possible! This workshop is brought to you by MissImp, Nottingham's longest running improvised theatre company.